I swore I wouldn’t do this. I was absolutely convinced that this was all going to be nothing more than a small footnote in modern British political history. I was convinced that these racists, loons, economic illiterates and xenophobic throwbacks to the 1950s would soon be confined to irrelevance. Personally psychoanalysis has always been more compelling as a meta-narrative of criticism rather than any kind of cohesive therapeutic method. That said, there’s something about the recent outburst of neurosis in our political classes that causes me to invite British politics upon the metaphorical chaise-longue. This isn’t just me either, I should hasten to add – the rise of Ukip has been met with a mix of bafflement, outrage and confusion from the professional class that exists to explain and decode our political discourse to the general public. To use the appropriate academic vernacular Ukip are problematic and thus must be, in some way explained. Comments on articles or blogs about Ukip aren’t interested in the merit of argument – there is no need for an engagement on the discursive ground set by the author of the blog, what matters is the message they pass on. Vote Ukip. Vote Ukip. Vote Ukip. Taken as a whole, these articles with their stream of mesmeric comments are extremely psychoanalytically revealing. On the surface the reasonable, the well argued, the textually and politically cohesive; it attempts reason and obeys the rules of the form in which it appears. Underneath, literally the sub-text is the comments. The disjointed, the fanatical and the deeply unpleasant exist just there, on the limit of our accepted discursive practises. The editorials, the columns, the blogs have all circled around the problem – Ukip are not necessarily an earthquake, not a political revolution, not “on the march” but something more troubling still. 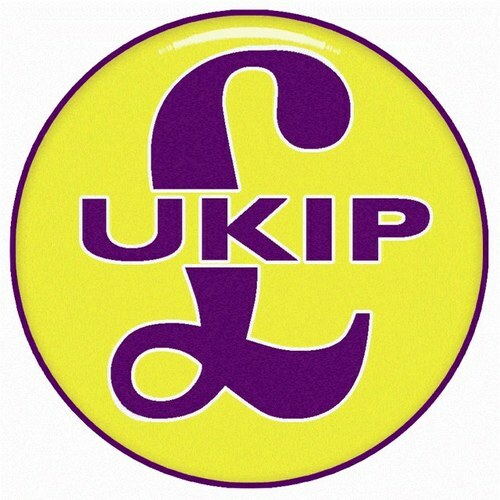 Ukip is the return of the abject in British politics. The concept of the abject was developed by the legendary French psychoanalyst Julia Kristeva, drawing on Lacanian notions of the subject grounded in filth. The “abject” is that which is rejected by, or more subtlety, disturbs the established social order. Kristeva also maintains that the abject exists somewhere between the concept of the object and the concept of a subject. Or, to phrase this is more appropriate context, between the concepts of Ukip the political earthquake and the suited former banker torn apart here. Ukip are not a political party, they are a mode, a neurosis, a collection of every no longer acceptable discourse, every unsayable prejudice in British politics. Ukip represent everything abjected from British politics in the modern, post Thatcher age. To quote Kristeva’s aphorism, “To each ego its object, to each superego it’s abject”. We believed we had moved beyond the racist, beyond the xenophobic, the casually misogynistic and homophobic – all had been cast out of our mainstream political discourse. We thought we were OK. Clearly we were wrong – what should be profoundly discomforting about the re-emergence of the abject into politics is the death of the assumption that these ideas are, and were, rare. If anything has been proven by the streak of gaffes and racism that make up Ukip’s campaign it is that we cannot argue these views are the minority. The return of the abject is the end to the liberal ideal that these kind of ideas are rare, or in the minority. Ukip supporters are not an endangered few espied by political anthropologists but neighbours, colleagues and family. Kristeva states that a confrontation with the abject is always traumatic, as the abject matter always exists outside the symbolic order. Ukip, the self-styled political mavericks, the populist rabble-rousers consciously and explicitly attempt to place themselves outside the political symbolic order – thus hardly a surprise that confronting them has proven to be so traumatic for all concerned – from the worried columnists to the bewildered political classes. So, how do we resolve this? How do we confront the abject in our politics? Kristeva stated that we use rituals in an attempt to maintain clear distinctions between the abject and the social and symbolic orders. Paradoxically these rituals allow us both expel and maintain our contact with the abject and fortunately one such ritual can be enacted tomorrow. Ukip are not new, they are simply the most visible representation of strains of thought, of neuroses contained within our political process. We may have to maintain contact with them, but through the ritual of the ballot box the abject can be consigned to the outside of the social and political order. ‘We believed we had moved beyond the racist, beyond the xenophobic, the casually misogynistic and homophobic – all had been cast out of our mainstream political discourse.’ A question: could it be that the metrocentric, London based, media believed this rather than Joe public in other parts of the UK? I wonder if part of the problem is that those who thought they knew best stopped listening, but still expected the masses to do as they were bid. Problem is that using voting to keep them out of the political sphere won’t cure neurosis. If a party so xenophobic and economically inept can gain considerable support off the back of a charasmatic leader tells us a lot about people’s engagement, or rather disengagement, from politics as a whole.